Tamil Nadu Chief Minister EPS on Monday attacked DMK chief MK Stalin, while addressing a rally and claimed that he ill-treated his father Karunanidhi and that his government will probe the DMK patriarch's death. New Delhi: In an explosive revelation, Tamil Nadu Chief Minister Edappadi Palaniswami has claimed that DMK president MK Stalin ill-treated his father and party patriarch M Karunanidhi and forcefully kept him under house arrest- to wrest the power straddle of DMK. “Tamil Nadu government will probe M Karunanidhi’s death. I’ve information from senior DMK leaders that he was unable to speak for two years. If he would have been given good treatment, MK Stalin couldn’t have become DMK president. So, Stalin made his father a house prisoner…” he said. 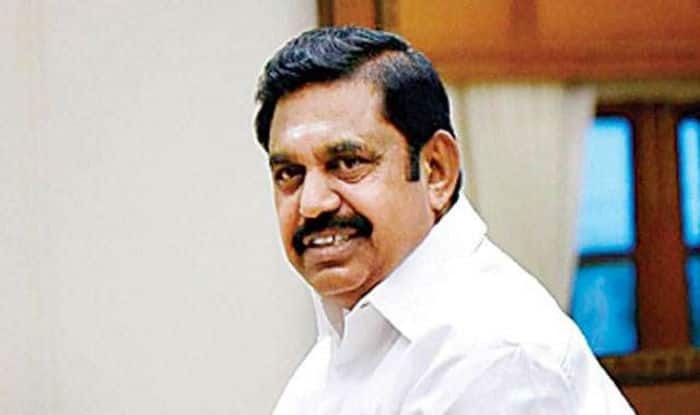 Addressing a rally, Palaniswami roared, “Stalin was the DMK leader who kept his father under house arrest.” He also referred to how Stalin was elected DMK president only after the demise of his father M Karunanidhi. Palaniswami, who is also the co-coordinator of the AIADMK said that if such cruelty was meted out to a serving MLA and former chief minister, it is the duty of the government to probe the matter. The veteran leader had been wheelchair-bound since 2010. Karunanidhi fell ill in October 2016 due to a drug-induced allergy and was admitted to a private hospital in December 2016. He had undergone a tracheostomy, a procedure to optimize his breathing. Following the illness, he also stayed away from political activities and, in January 2017, his son, M K Stalin, was appointed the working president of the party. M. Karunanidhi passed away on August 7, 2018, after a brief hospitalization due to infections and age-related illnesses. It was on August 28, that Karunanidhi’s son M K Stalin was elected DMK president.